On Friday morning, I set off from home ludicrously early. 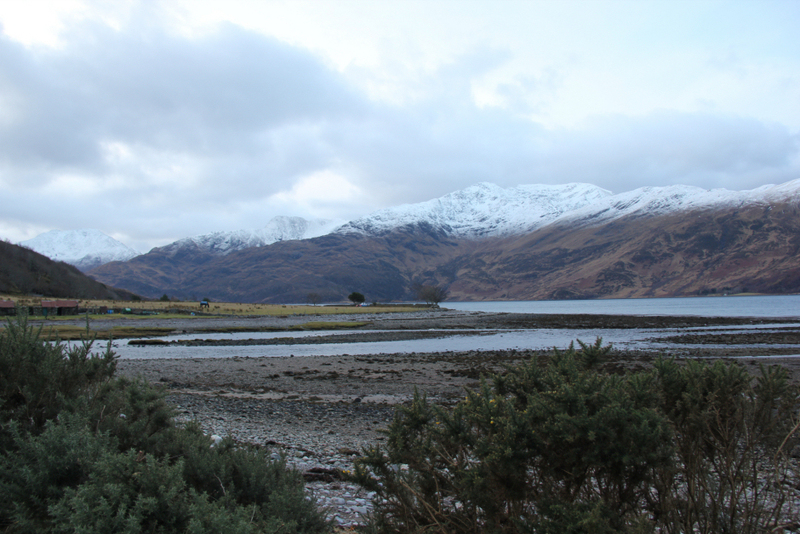 I arrived in Corran, beyond Arnisdale, by 08:30 with a view to ascending Beinn Clachach. However, I decided to wait for a break in the torrential rain before getting out of the car to get suited and booted. 09:00 passed, as did 09:30, 10:00, 10:30 and 11:00 with ongoing constant, relentless heavy rain. 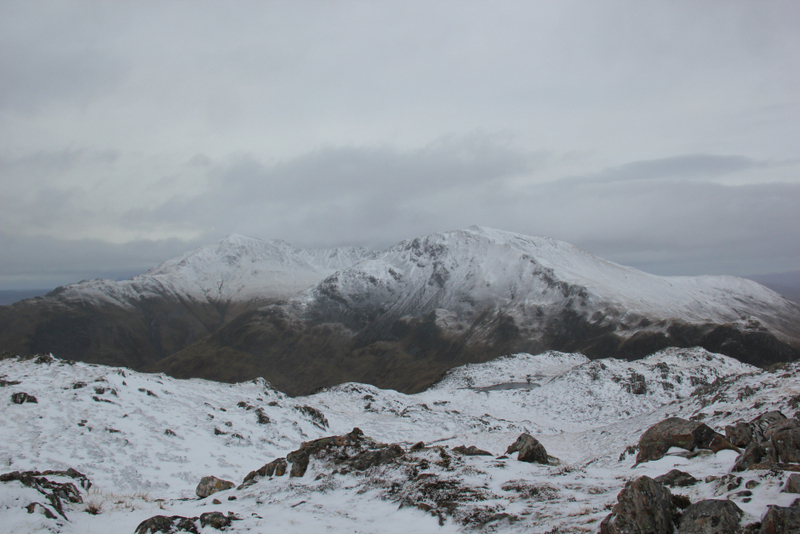 I am normally an all-weather walker but decided Beinn Clachach could wait for a better day . 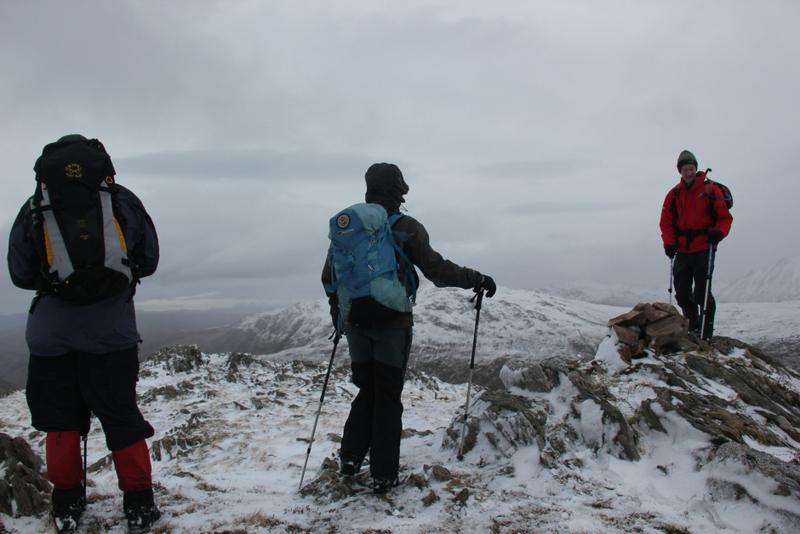 On Saturday morning, I again set off to Corran, this time in the company of Jake, Alan and Sheena, for an ascent of Beinn Clachach. 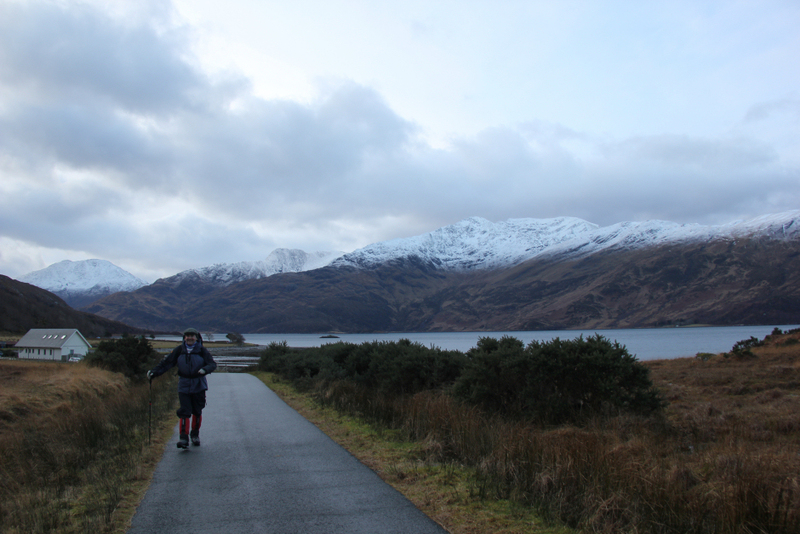 The weather was not perfect but it was infinitely better than the day previous! 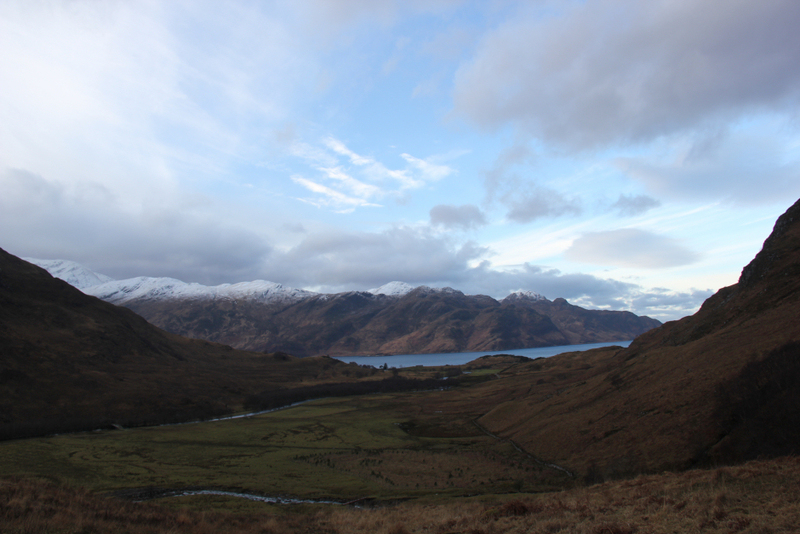 As we entered Arnisdale, I stopped briefly to take some photos of beautiful Loch Hourn. 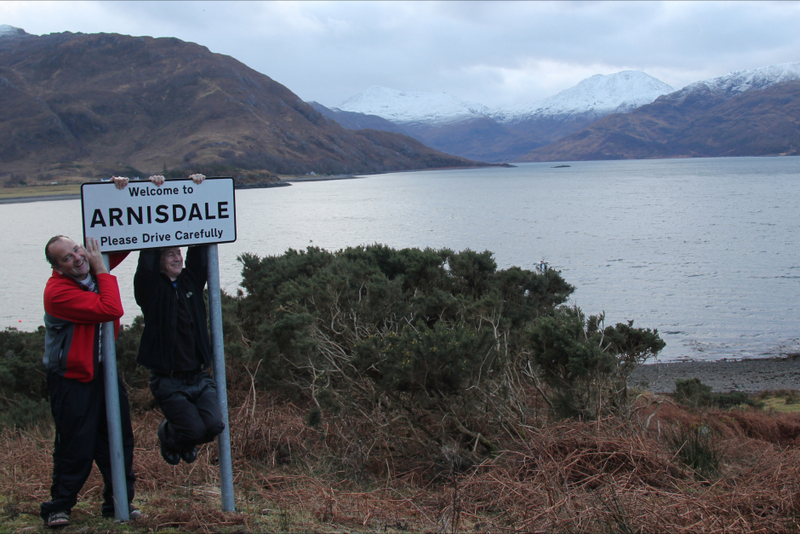 We were all happy to be back in Arnisdale; a lovely remote hamlet circa 10 miles beyond Glenelg. We parked up in the Ceilidh House car park in Corran. 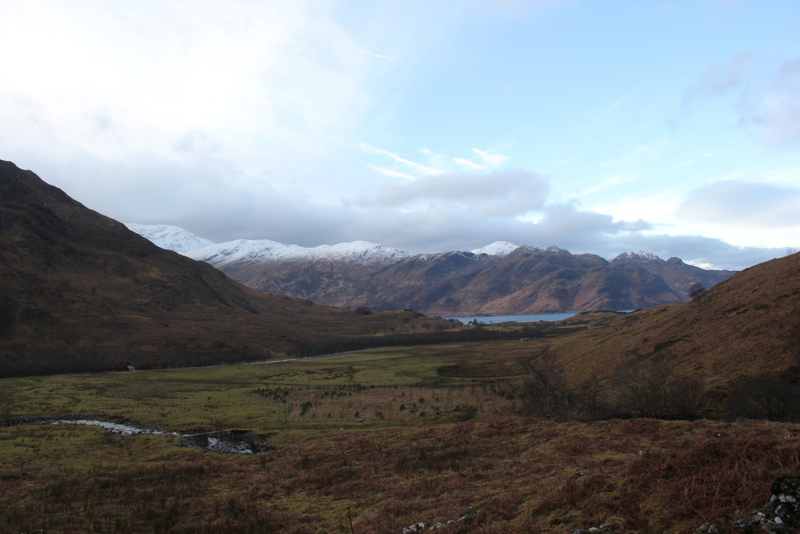 From the car park, we walked a short distance back along the road towards Arnisdale to gain access to the landrover track heading towards Achadh a' Ghlinne. 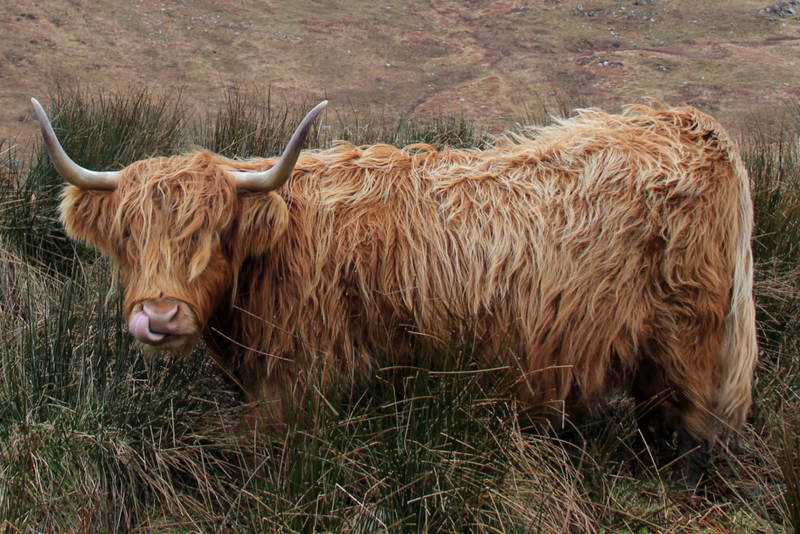 En-route to the Achadh a' Ghlinne bothy, we passed a small herd of Highland cattle. On reaching the Allt Utha, myself and Alan crossed using a number of small stepping stones while Sheena and Jake more sensibly used a rusty bridge just a short distance upstream . 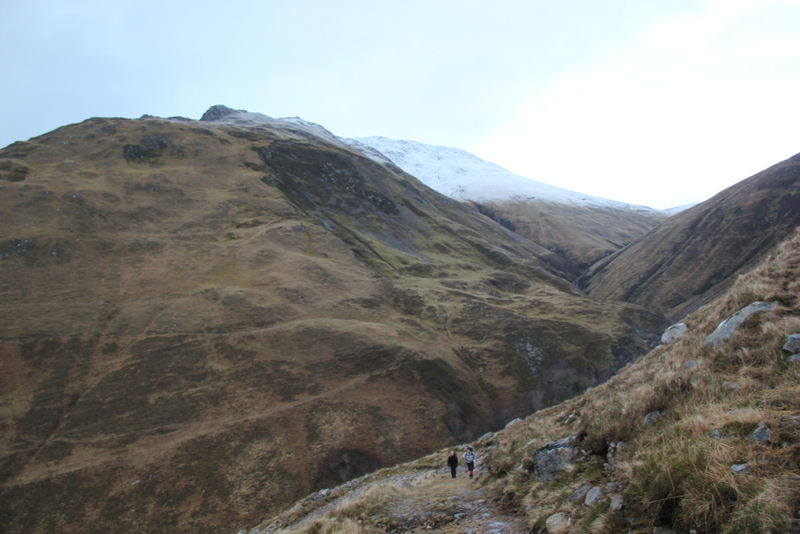 On reaching the bothy, Alan, Jake and myself had a look inside. 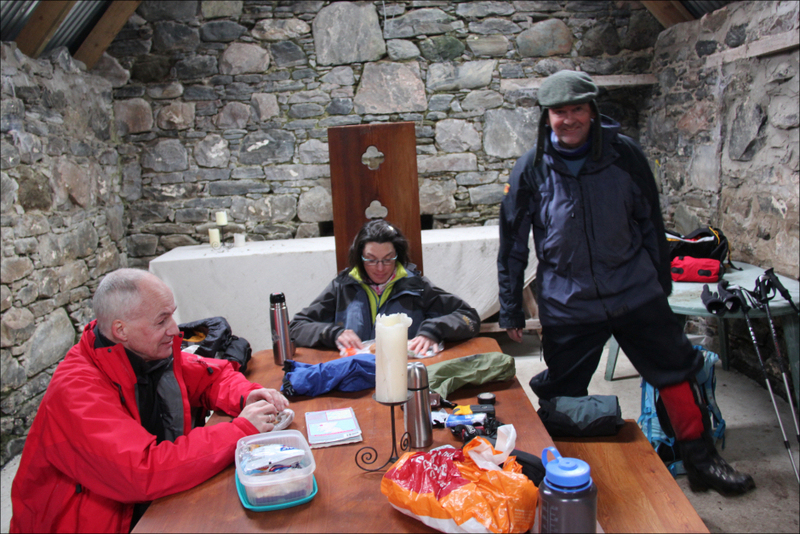 After our brief look inside the bothy, which is a private bothy not an MBA one, we started our ascent up the excellent track leading towards the Arnisdale Corbetts. 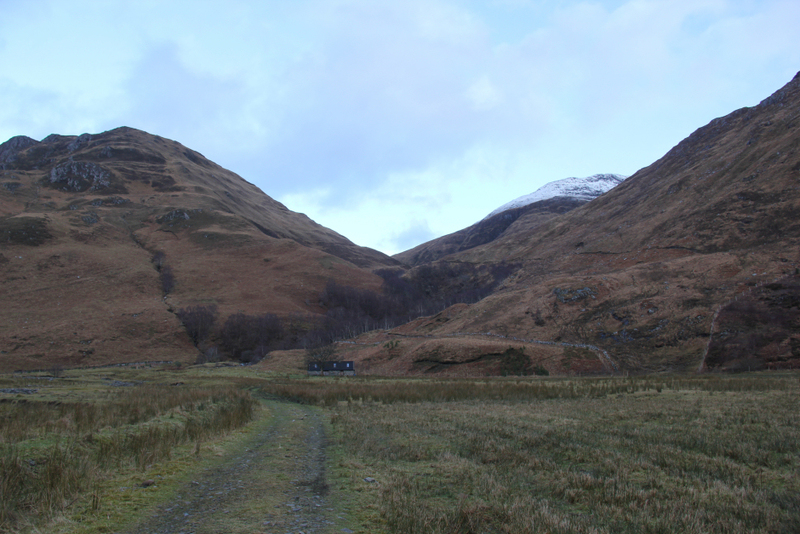 I last walked this track in 2010 for a circuit of Beinn nan Caorach, Beinn na-h Eaglaise and Beinn Sgritheall. 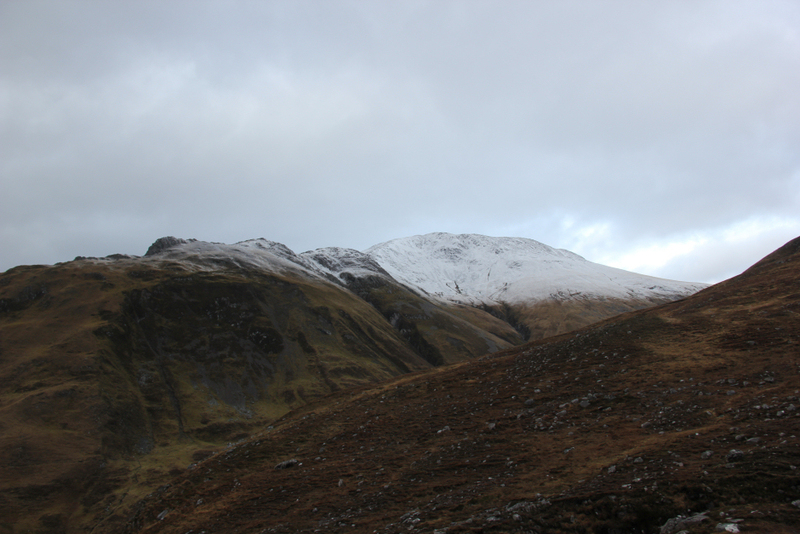 During the ascent, it was good to see Druim Fada. 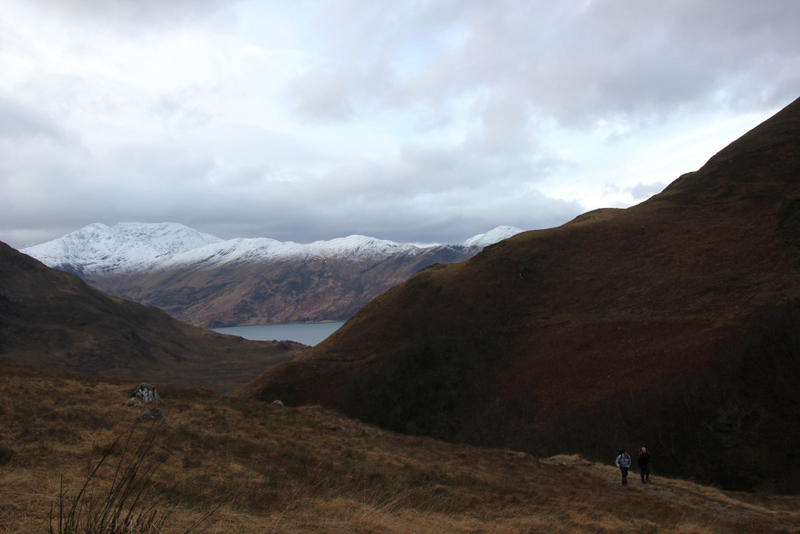 I have yet to walk this fine Graham which stretches from Kinloch Hourn to Corran. I would love to undertake a full traverse of this hill but transport logistics will probably never allow for that unless I can charter a boat. 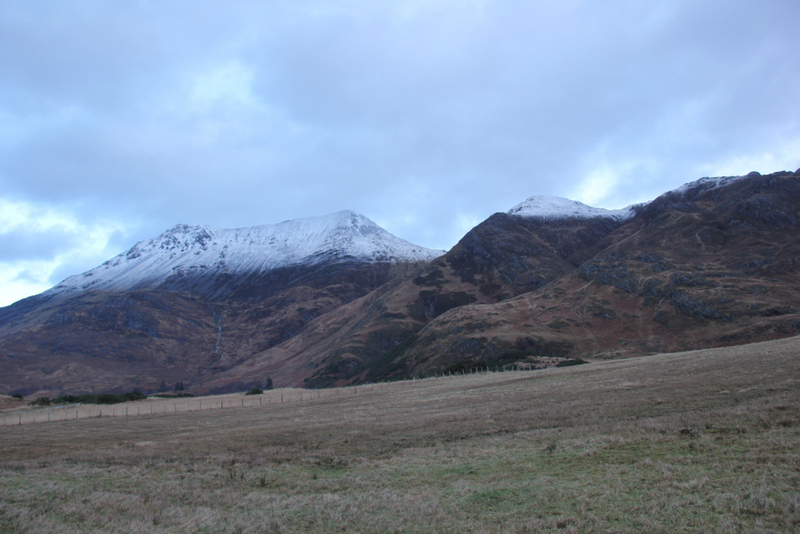 It was nice to see Ladhar Bheinn capped with snow. 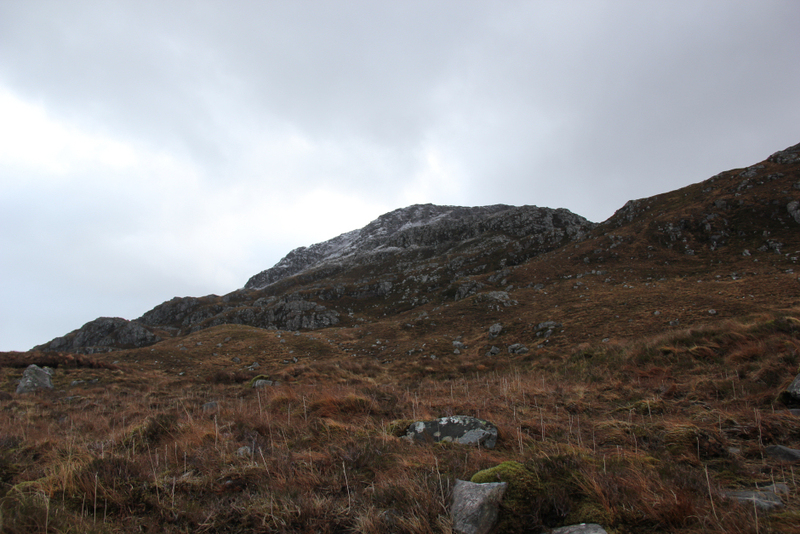 I last ascended Ladhar Bheinn thirteen years ago, which is far too long. A re-ascent is most definitely overdue. 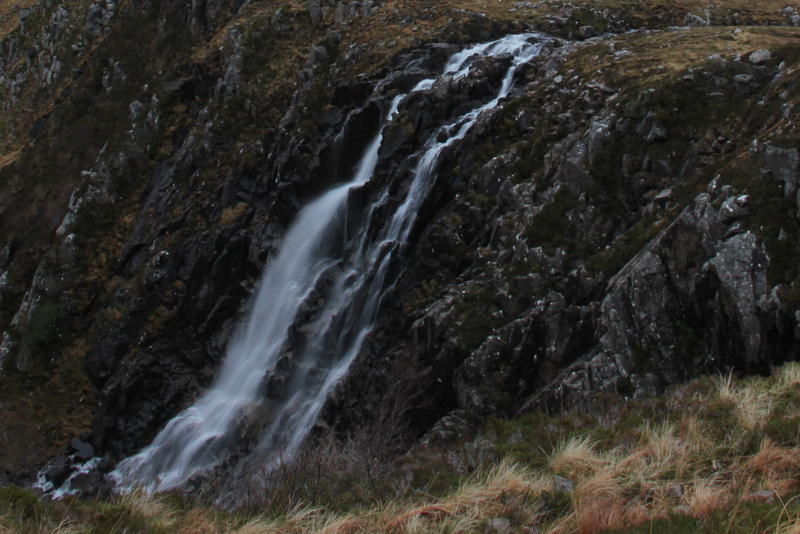 On reaching a lovely waterfall, we stopped to take photographs and to shed a layer of clothes. 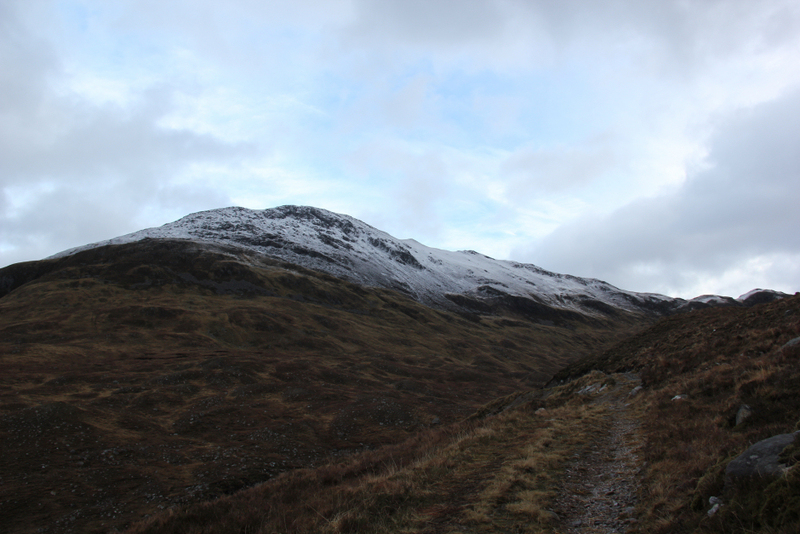 Once the track levelled-off, we briefly discussed whether or not to ascend the 618m top first. 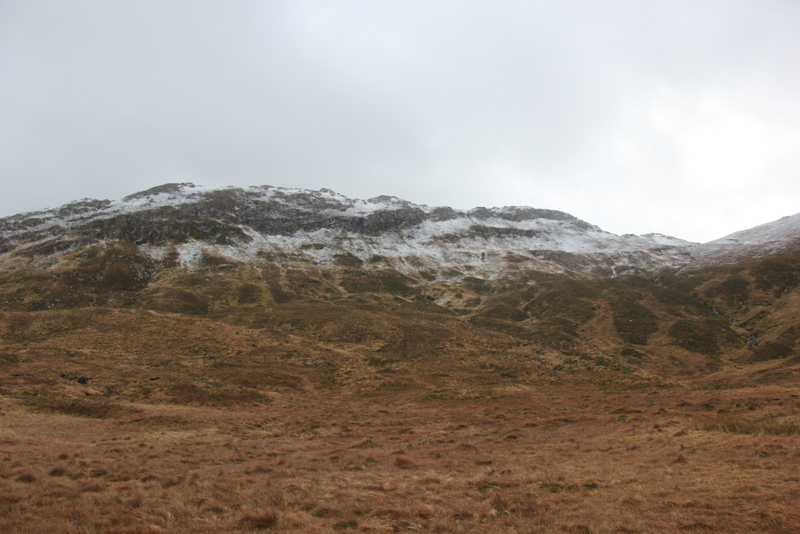 We agreed to continue taking advantage of the excellent stalker's track for a further 1.5km and then ascending to the bealach via Coire Luachrach. On reaching the track high-point, we left the track and made our way up towards the bealach between the summit and 618m top of Beinn Clachach. Circa 80m below the summit, we had a ten-minute break to have a bite to eat and a drink. Myself, Jake and Sheena got out our bothy bags more for fun than out of necessity. 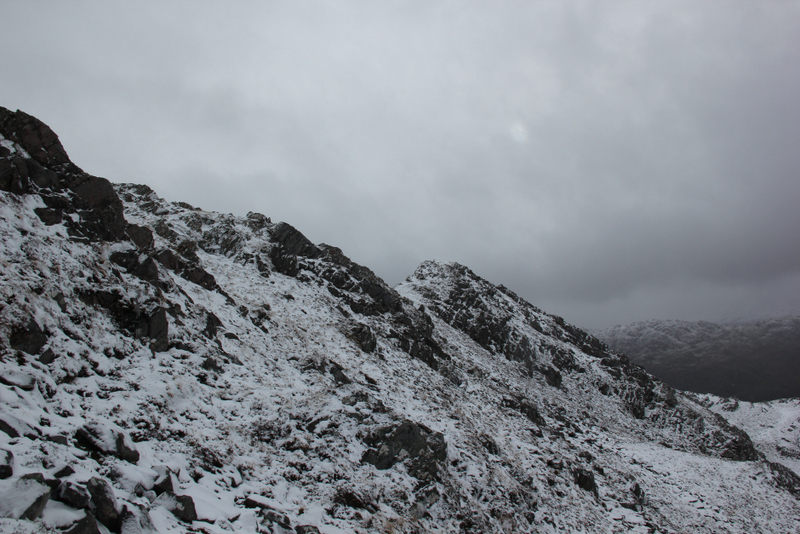 It didn't take long to ascend the final 80m to reach the summit of Beinn Clachach. 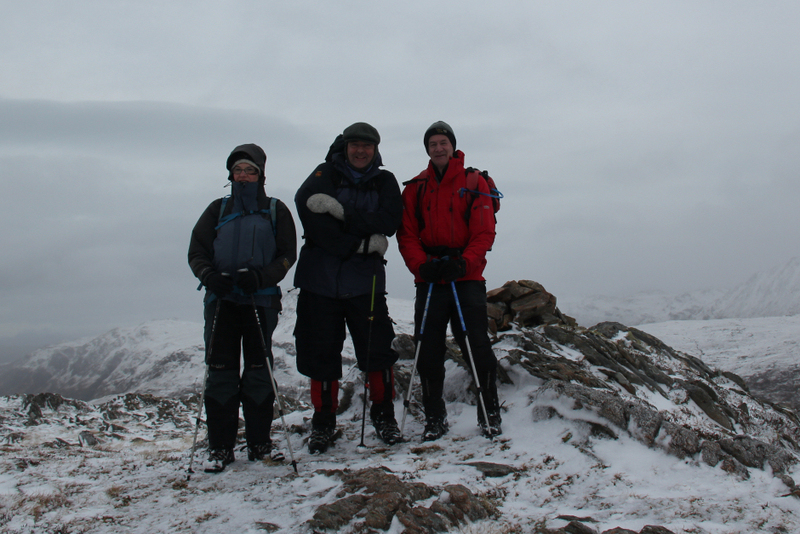 It was very cold and somewhat breezy at the summit, so we didn't hang around for long. 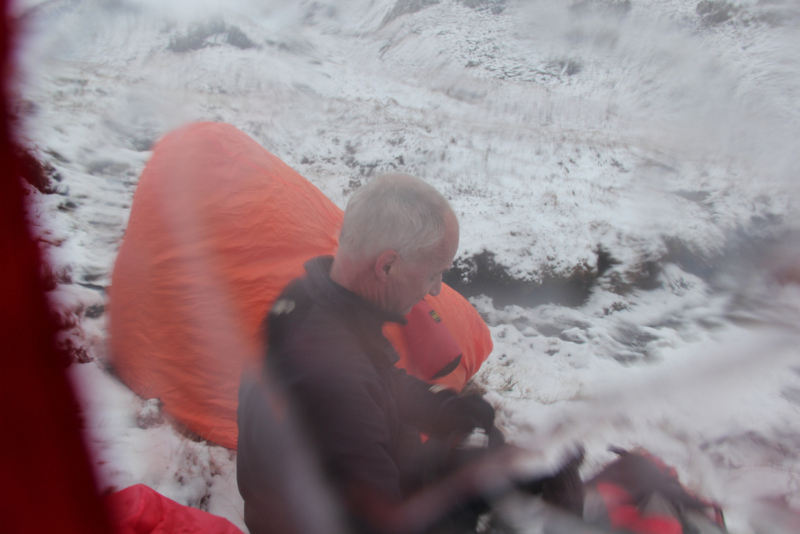 The forecast was for gusts to 60mph and windchill of -17C. My hat blew off twice, so it certainly was windy. 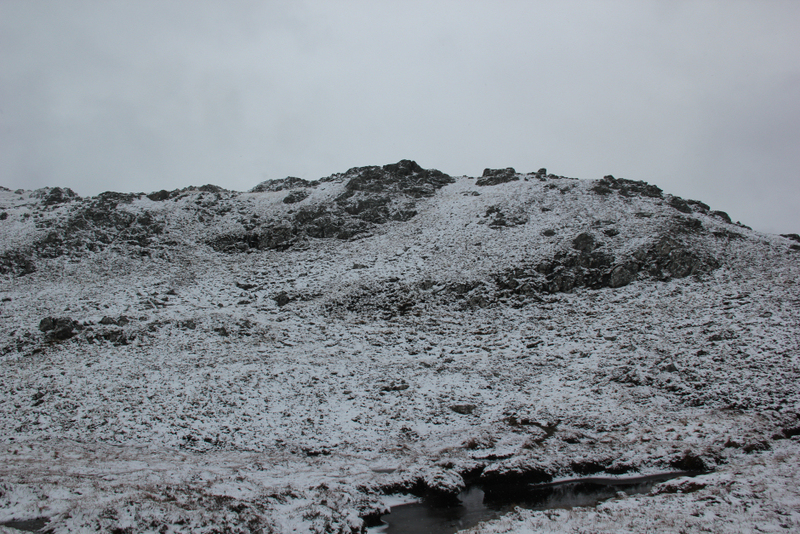 We noticed another cairn on a top that looked equally-high, so we visited that top before starting our descent. 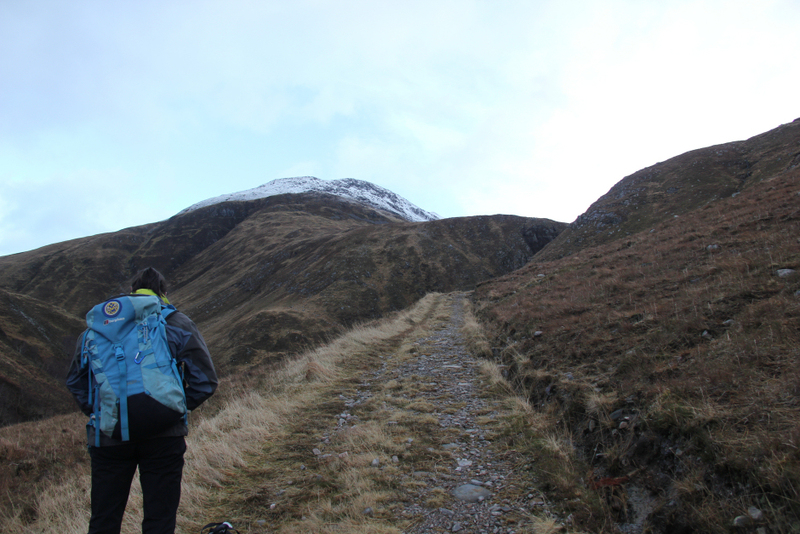 For a bit of variety, we made our way back down to the track via Beinn Clachach's North ridge. 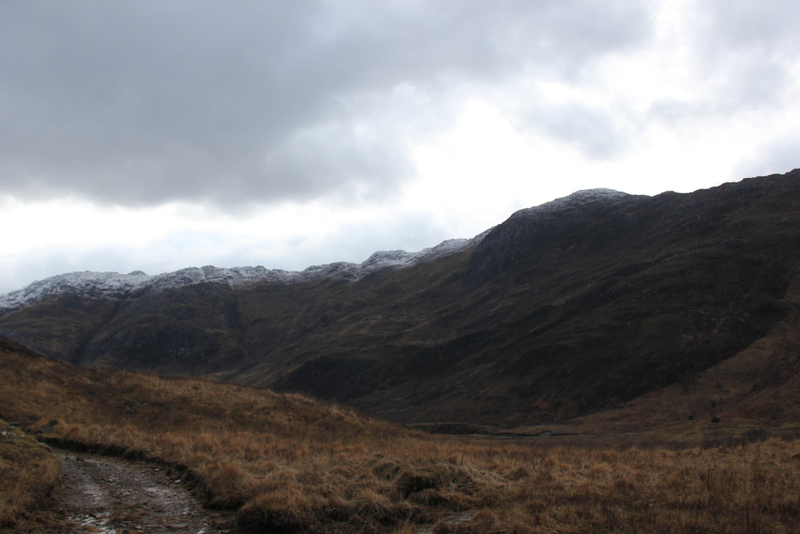 On reaching the excellent stalker's track, we followed it back to the Achadh a' Ghlinne bothy, where we had lunch. We again passed the Highland cattle during the final walkout. Bonnie beasts! 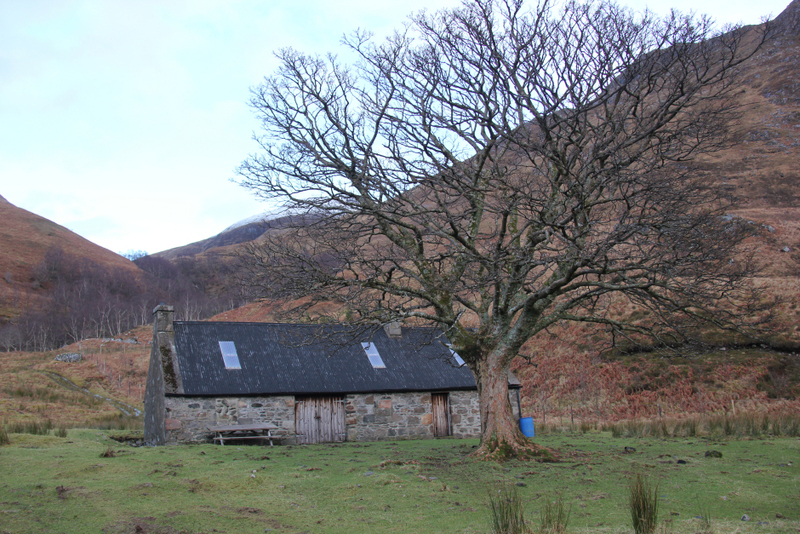 On reaching Corran, we had a look around the inside of the Ceilidh House which is also a heritage centre. 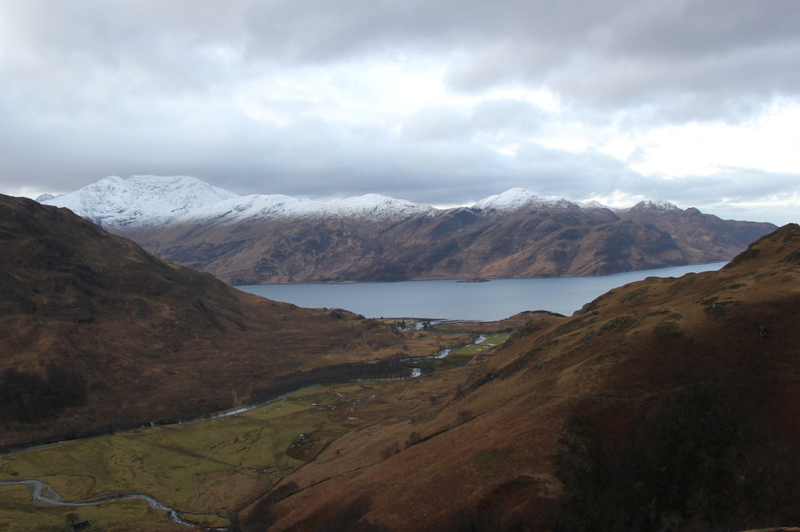 We then returned to our base in Morvich and were back in plenty time to watch the rugby in the Kintail Lodge Hotel. Good beer , good game , shame about the score !